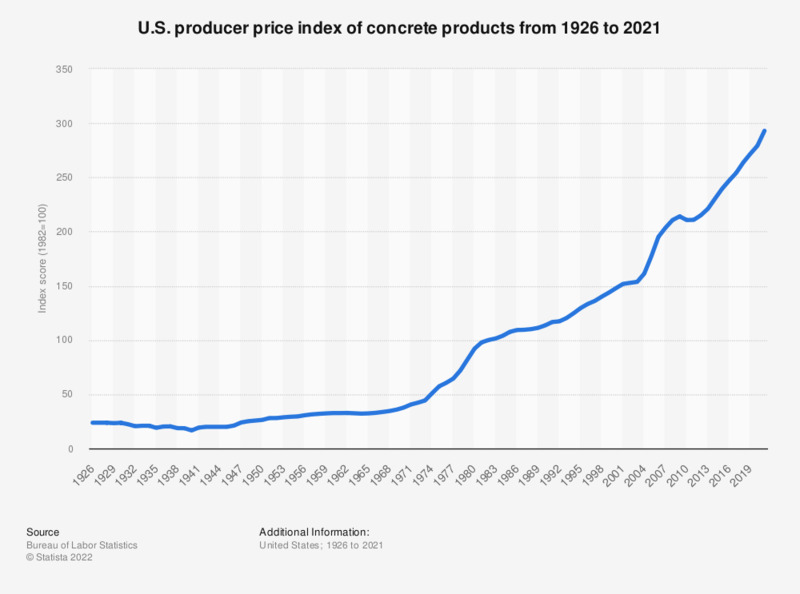 This statistic shows the producer price index of concrete products in the United States between 1990 and 2017. These products had an index of 254.1 in 2017, compared with 100 in 1982. Concrete is an aggregate which contains cement and other materials. Please go to historical data, formatting options to retrieve annual data. The year 1982 was used as the base year (1982 = 100).